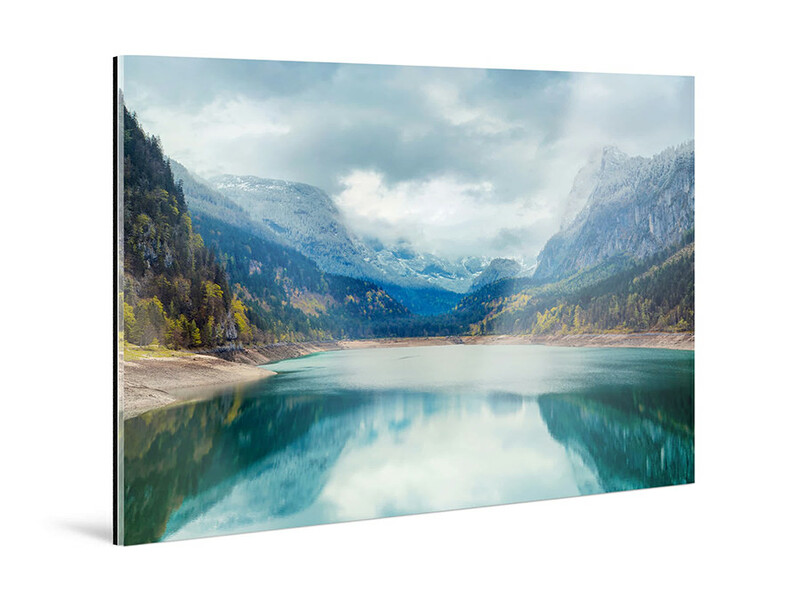 Your matte acrylic photo print is perfectly suited for brightly lit environments. It absorbs light and greatly reduces glare. The sturdy aluminum Dibond backing ensures longevity and durability. 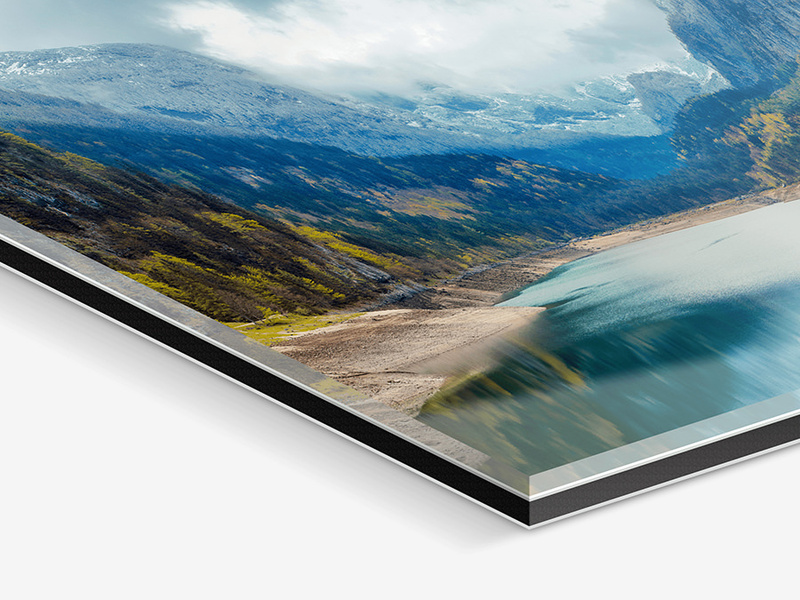 Our Original Photo Print Under Matte Acrylic Glass consists of multiple components. Your photo print is mounted under 1/16” (2 mm) of matte acrylic glass, backed with 1/8” (3 mm) of aluminum Dibond and sealed with elastic silicone. Your Original Photo Print Under Matte Acrylic Glass is exposed using the latest laser technology and traditionally developed. Brand-name papers guarantee optimal results. For black-and-white photography with fade protection, deep contrast and accurate gray scales. There is an enhanced appearance of depth. Your photo’s color is increased and intensified, even for softer colors. The 1/8” (3 mm) composite plate is made of two aluminum layers and a polyethylene core. It is low in weight and provides reliable stability for your acrylic pictures. Easy to hang, regardless of the format or size. Our picture hanging systems for acrylic mounts are included in the price and adjusted for the format and size. Of course, you can also order your picture without hanging hardware. All hanging systems can be used with gallery rails. Matt acrylic glass is subtle and understated – glossy acrylic glass shines with a crystal clear finish. We recommend our matt acrylic glass in 1/16" (2 mm) thickness for your laminates if you wish to eliminate every slightest mirror effect. The depth of field of your image will be enhanced and there will be no pesky reflections, regardless of the viewing angle. Matt acrylic glass is particularly suitable for pictures hung across from windows, for photos with low-contrast colors, pastels or for monochrome pictures with a high black content. 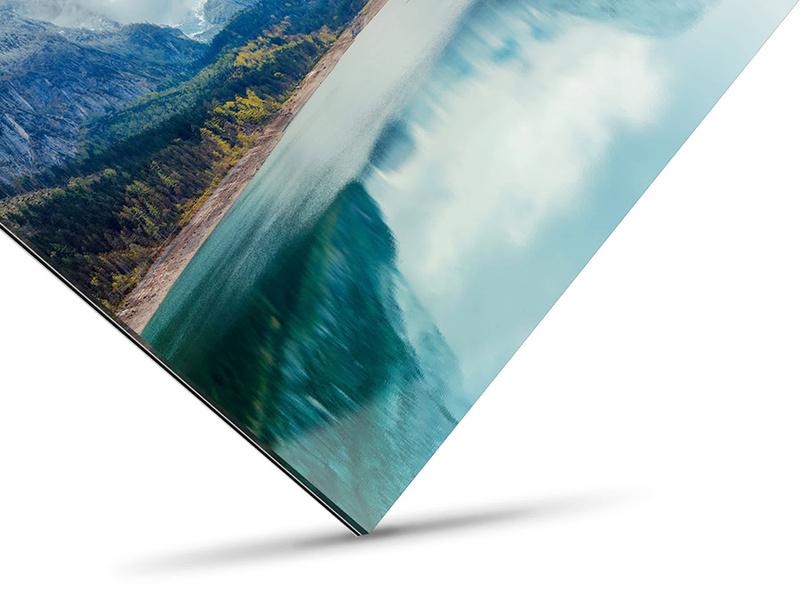 Matt or glossy, a laminate under acrylic glass underlines the character of your photograph and presents it perfectly: Luminous color brilliance, clear picture details and an impressive depth of field – your photo under flawlessly glossy acrylic glass. At just 0.78" (2 cm) thick, acrylic glass intensifies color intensity and adds great depth to your picture. Test reports confirm that laminates under acrylic glass by WhiteWall are excellent gallery quality. For optimised effect, we recommend the 1/8" (4 mm) standard. Our acrylic products are also available in decorative small formats with various stand types or as an acrylic block. Both are ready to display right away, affordable and popular choices for gifts. Give the gift of memories – in premium quality. 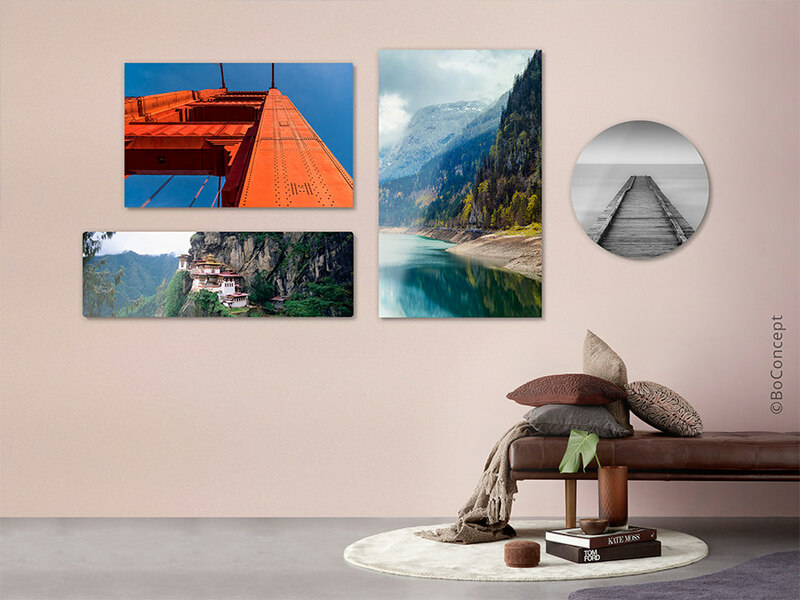 All pictures are different and need the right intuition to present them at their best – discover our many different laminate types, direct prints and our original photo prints. WhiteWall has the product you want in the size you need. We exclusively use high-quality branded photo papers for our original photo prints under acrylic glass – in combination with your picture, the right choice will multiply the potential of your image and its true effect is further underlined with the right choice of laminate.